Watch Emily and Wade as they view their wedding album for the first time, and talk about their experience with us. Robin was a dream! I'm so glad we choose her to be our wedding photographer. My favorite things about Robin were her flexibility, patience, calm, and OF COURSE her talent! I was out of state, so I never even met Robin until our wedding day. However, I felt 100% comfortable with her because she was always so thorough and accommodating via phone and e-mail when planning our wedding day. During the wedding, Robin made a deliberate point to make sure we had every photo taken that we had discussed ahead of time. She was able to gracefully coordinate family members and the wedding party and worked seamlessly with other vendors to make my wedding day magical. Somehow, she managed to do all this while remaining under the radar. Additionally, we got our photos back online super quickly - I was expecting it to take much longer than it did. 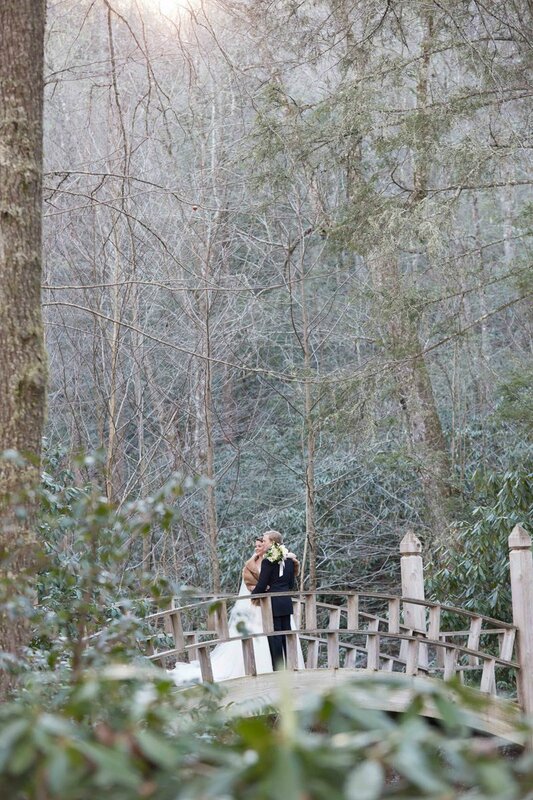 MOST IMPORTANTLY, our photos are gorgeous! We got married in a front of a fireplace in some difficult lighting conditions and Robin nailed it! 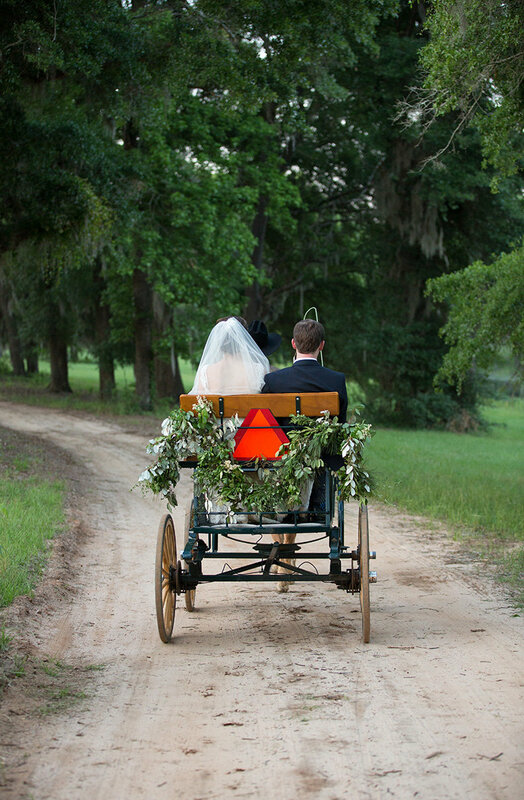 Robin captured our day beautifully and I'm thrilled to have her images to remember our day during the years to come. If you're looking for a photographer with an eye for creating classic, timeless and elegant photos, I can't recommend Robin Gerrard more highly! Robin Gerrard photographed our wedding last May. I could not be happier with the decision to hire her. Before our wedding day, Robin made a point to be personable and to get to know me (and my fiancé) so that she could capture the wedding through our eyes with the moments that were most important to us. She was also very organized and sorted all the necessary details early in the wedding planning which was really helpful because I didn't have to worry about anything. On our wedding day, Robin was very discreet with the camera. I never felt overwhelmed or bombarded by a camera - and she still managed to capture every tiny, little moment and detail. After the wedding day, Robin promptly sent all the photographs. We selected our favorite images and she used those photos to create our wedding album. The final product is more powerful than I could have ever imagined. Robin's talent as a photographer and an artist shines through our wedding album. Her ability to use images rather than words to tell a story so vividly is amazing; and that's what makes our album so special- it's not simply a series of photos from the past, but it actually takes the viewer to the weekend of our wedding and plays all the details beautifully. Now that our wedding is a memory, I am so grateful to have an album that replays all the special moments from such a special time. If you are looking for your wedding photographer, schedule Robin Gerrard before she is booked! She will not let you down! Not once, but twice, we have had the pleasure of working with Robin Gerrard for both our daughters' weddings, first in 2009 and again in 2014. Robin is first of all, extremely professional, and very talented and experienced. Her photography is beautiful and amazing. We love her style. She is very unobtrusive while she works. There's lots to worry about during a wedding, but we did not worry about photography at all, we were in very good hands! Secondly, she was such a very nice, kind person to work with, and very flexible with us. My daughters and I both adored her, and her calm, quiet demeanor was wonderful. We loved having her with us. Thirdly, her pricing is excellent compared to many comparable photographers in the Atlanta area. I definitely recommend Robin. We have been very pleased. If I had a 3rd daughter, I'd use her again! Robin Gerrard is not only extraordinarily talented, but is the most professional vendor we worked with while planning our wedding. She made us feel thought of, cared for, and most importantly, heard while helping us work through timeline, specific moments we wanted captured, and order of events. Robin was consistently quick to respond to every email we sent her and was thorough and thoughtful in all of her responses and suggestions. She gave us feedback and opinions when she thought it would benefit us, but was accommodating by trying to give us everything we wanted on our special day. Many of the photos she shared with us, just 3 weeks after our wedding, took our breath away! There are some images that are so stunning that we've joked that they belong in bridal magazines, not just on our walls at home. Robin went above and beyond to capture all of the moments that we felt were important, but also surprised us with candid, genuine moments that we didn't realize she was there for. 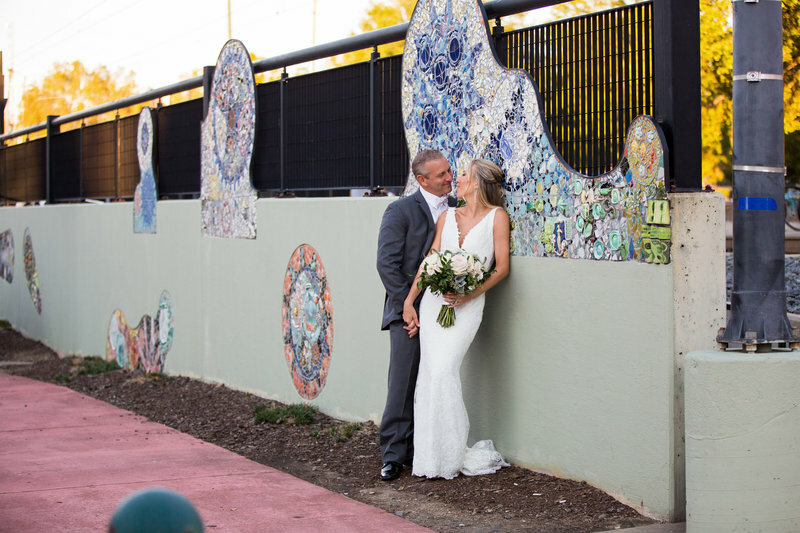 When looking for a photographer we were adamant that the person be able to beautifully capture our day in an authentic, genuine, and organic way -- We didn't want too many posed, stiff, or formal photos -- and she achieved this perfectly! Any bride would be LUCKY to have such a talented, hardworking and kind photographer be a part of their big day!! Ultimately, your desire is to have a gorgeous affair and be married, but the only thing that lives on long after the wedding day, after the honeymoon, after decades of marriage, is the photographic evidence. It's a tall order to expect someone to give you those memories in a stunning way, but Robin did that tenfold! We were recently married in mid-October and had the pleasure of working with Robin and Laura as our photographers. We would highly recommend them with the utmost enthusiasm. From the moment we first had contact with Robin we knew she would be the perfect photographer for our big day. We did a lot of research online and after seeing website pictures from both Robin and Laura, we completely fell in love with their natural style of photography and ability to capture the beauty in a moment, including amazing still images. Leading up to our wedding, communication with Robin was efficient and prompt. It might seem insignificant to most, but when you’re working with multiple vendors trying to pull everything together at once having quick responses to questions is very helpful. Robin was very clear in all correspondence before the wedding, including a very detailed sample timeline that really helped us organize our wedding day and to make sure all events we wanted were captured. Robin and Laura arrived early on wedding day and were careful throughout the day about giving us space without missing any important moments. Their work really stood out from other photographers, and more importantly “told the story” of our big day. Robin said that she liked to be a “silent observer” rather than disrupting guests and asking for posed pictures. She and Laura blended into the background, managing to capture every single special moment! Robin and Laura did not stop taking pictures for eight hours straight. They were there from our “getting ready” moments in two separate locations, to our off-site shoot with the wedding party and culminating with our grand exit from the reception. 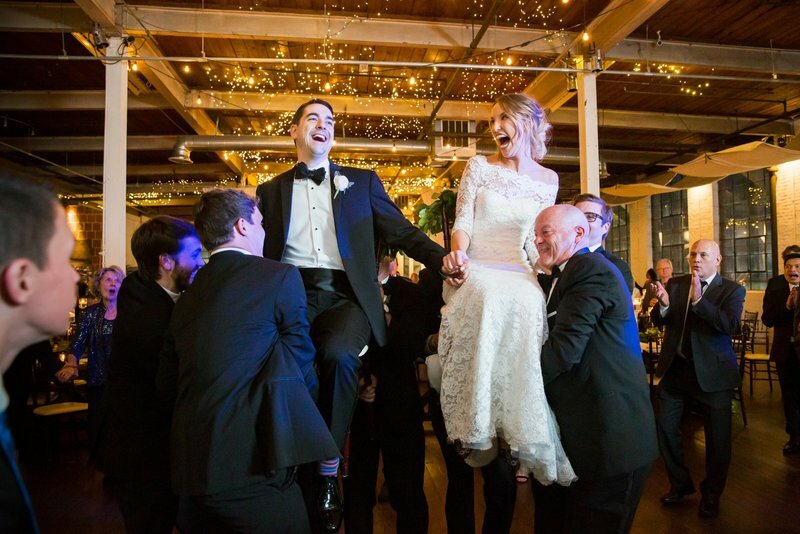 Within a few weeks after our wedding, we had a link in our inbox to over 1,000 pictures. All of the pictures were organized well into albums and included a “highlights” album with 200 images from across our wedding day. These pictures were absolutely stunning, and had the same romantic, journalistic touch that we had seen in all of their previous work. The final product was AMAZING!